1. When did Muslims conquer Egypt? 2. When did Muslims conquer Constantinople? 3. When did Muslims conquer Persia? 4. What city was never conquered by Muslims between 632 and 650 CE? 5. 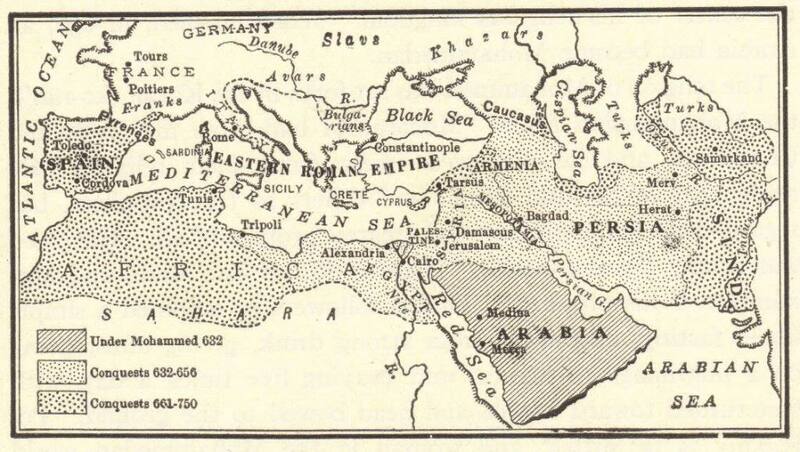 What area was conquered under Mohammed by 632 CE? 6. Which area was never conquered by Muslims between 632 and 750 CE? 7. When did Muslims conquer the Iberian peninsula?